Whole day tour escorted by guide and by de-luxe motorcoach. Pick up from the hotels. 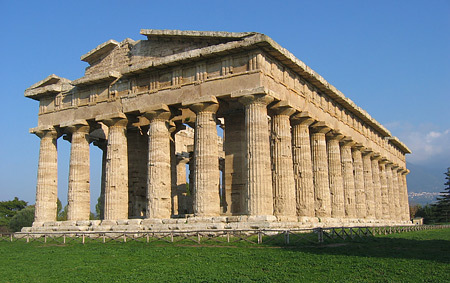 Paestum one of the most famous centres of Magna Graecia, is an archaeological resort of great interest. Vestiges of its ancient splendour are the magnificent doric columns of the Temples dedicated to Neptune and to Ceres, the remains of the Basilica and the town-walls. In the Museum many rare findings and frescoes are very well preserved. Optional lunch. Expected return at 4.30 p.m.